Dogs bark, and dogs chew on bark. A duck ducks its head. A bat can fly, but can a fly bat? This sing-along picture book celebrates funny animal words. 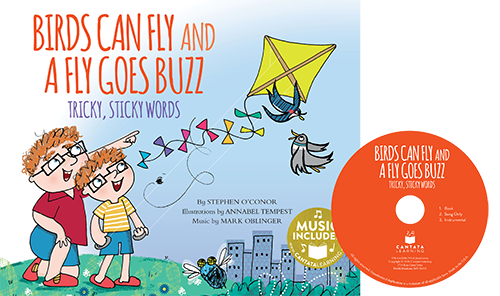 Catchy beats and silly words will have young readers up and dancing as they learn about animal homonyms. This hardcover book comes with CD and online music access.